One of my favorite ways of helping families with care needs is by helping them to receive veteran’s benefits using a family caregiver agreement. Such an arrangement often solves a number of problems simultaneously. It provides compensation for the caregiver, who may have sacrificed financial and career opportunities. It lifts the financial burden of providing that compensation. And many times, it means the difference between staying at home and moving to an institution. The U.S. Veterans Administration provides “aid and attendance” benefits to a veteran who served during a wartime period, received a discharge other than dishonorable, has care needs, and meets certain financial requirements. 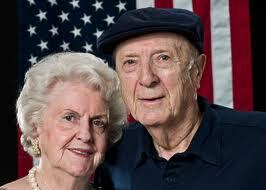 Benefits may also be available to such a veteran’s spouse, dependents, widow or widower. One of the financial requirements is that the applicant has sufficient unreimbursed medical expenses (or “UMEs”) in relation to the applicant’s income. Here is where the caregiver agreement works magic — it provides the basis for UMEs that could qualify the applicant to receive benefits. The reason this works is that the VA pays the difference between the maximum benefit amount and an applicant’s income, and UMEs reduce the applicant’s income for VA purposes. For example, Jack (a widower) served his country in World War II, and now suffers from Parkinson’s Disease. His daughter Wendy cares for him at home, helping with dressing, bathing, meal preparation, and so forth. Jack receives Social Security and a small pension, totaling $1,690 a month. With a properly drafted caregiver agreement, Jack agrees to pay Wendy $1,750 a month to provide care. (Assume we have obtained the opinion of a qualified expert that the monthly amount is fair market value for Wendy’s services.) Now Jack’s income for VA purposes has been reduced to $0 because $1,690 minus $1,750 brings the total to a negative number. Now the VA will pay Jack the maximum benefit amount, $1,737?? ?, because that is the difference between the benefit amount for an unmarried veteran and Jack’s income for VA purposes, now that his income is considered to be $0. Keep in mind Jack still receives his Social Security and pension, which he continues to use to pay his household expenses. But he now receives an additional $1,737 from the VA each month, which he uses to pay most of his caregiver payment to Wendy, who now gets some compensation to make up for all the work she provides to Jack. Best of all, Jack achieve his goal of staying at home. It’s a win for everyone, and one way the nation says “thank you” for Jack’s military service in the country’s time of need. The founder and managing attorney of Sykes Elder Law, Andy is recognized as a leading elder law authority in Western Pennsylvania. Mr. Sykes is the past chair of the Elder Law Committee of the Allegheny County Bar Association. He lectures frequently on elder law topics to legal, professional, and community groups. His comments on elder law topics have been quoted on WTAE-TV and in the Pittsburgh Post-Gazette, Town and Country Magazine, Pittsburgh Senior News, and other publications. Mr. Sykes was recognized by Pittsburgh magazine as a 2010 FIVE STAR Wealth Manager in the area of Estate Planning. He was admitted to practice in Pennsylvania in 1989, following graduation (with honors) from Ohio State University’s College of Law. This entry was posted in aging, caregiving, eldercare, veterans and tagged aging, caregivers, caregiving, eldercare, health care, home health, medical, VA, veterans, veterans benefits. Bookmark the permalink.